Dream11.com is the world's largest Fantasy Cricket & Football Game, with an exponentially growing user base of 1 million+ users. even if you earn more than 10000rs then you have to pay the tax of about 30.9% to the government.. IT'S a start up and earn a ton of money in ipl session mainly choice is up to u that whether you have start earn from this app or you should try to invest your in making a different app that give you passive income daily. just subscribe to our blog for amazing content like this. 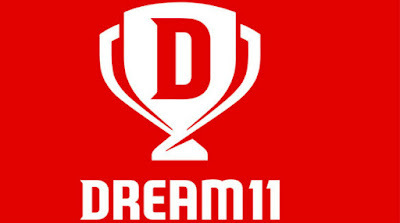 Dream11.com is the world's largest Fantasy Cricket & Football Game, with an exponentially growing user base of 1 million+ users. basically, dream 11 is a company that convert illegal gambling into legal gambling.this company converts whole international gambling market into legal gambling. with the Government approval.